I grew up in the East Village in New York City and my great aunt lived right around the corner on ninth street in a lovely airy apartment. She and my Mom decided I should host my eighth birthday party over there, as I had a large guest list that year. Preparations were underway and the one thing that we all agreed upon was that the cake had to be my favorite William Greenberg cake. The William Greenberg bakeries still exist and back in the 1960’s my absolutely favorite item of theirs was this chocolate mint cake. Now here’s the problem. According to the current folks over at Greenberg, this cake never existed! No official person seems to be able to confirm that this cake was one of their offerings. But I remember it clearly; and so do some other New Yorkers who grew up in the city at the same time. It was a chocolate cake. Dark. Firm crumb but tender at the same time, but with substance. It was moist and slathered with a pristine whipped cream frosting. Then there were the chocolate mint candy decorations that brought a delicate mint flavor to the cake. I just loved it and requested it for my birthday year after year, so the cake was a no-brainer. But what to feed a crew of elementary school girls? We had to have savory food before we got to eat cake. This was the dictum set down by the adults; I would have been happy to just have cake. Mom asked me what I would like for the main part of the luncheon. “Coquille St. Jacques,” I said. 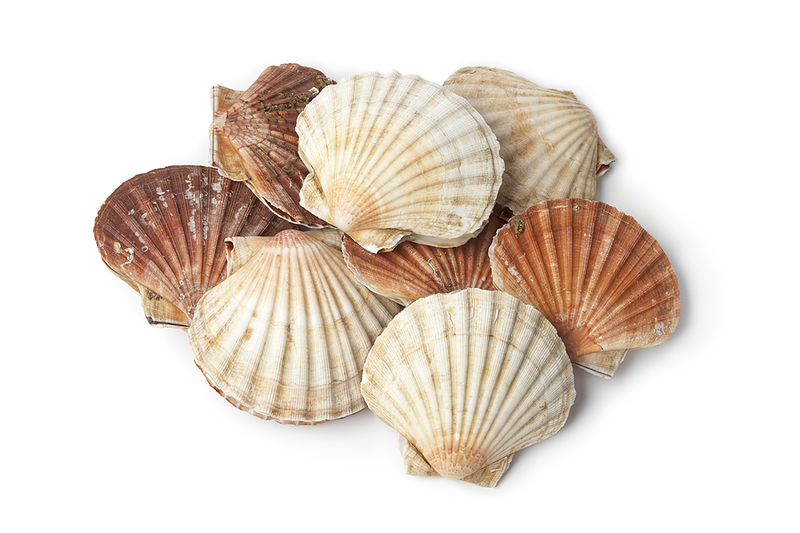 Naiveté is a hallmark of young girls and I was enthralled with the reusable scallop shells used for the classic presentation of this seafood dish. My mother had a set of the shells and I loved handling them, studying the subtle variations of patterns and color of each one. I would marvel at their size, as they were bigger than my young adolescent palm, and they were delicate and sturdy at the same time. And better yet, they were real! A live sea animal used to inhabit them, which was a marvel to me. I assumed my girlfriends would be as enamored. I don’t remember the first time I had the creamy scallop dish, but I loved it and wanted to share it with my friends. My mother gently explained that most likely not only would my friends not know what this was, but that they might not like scallops either. This was inconceivable to me. It was delicate, creamy, subtle, elegant, fancy and unique. What was not to like? Sigh. I gave up. I had my cake. I would have to wait for the coquille St. Jacques another time. Tuna fish sandwiches would have to suffice. My Mom always cut sandwiches straight across and I think I did at least get her to go with diagonals. You never know what is important to a child.